“U.S. 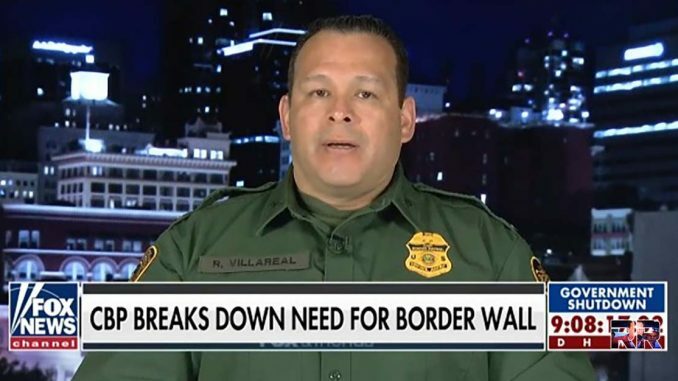 Border Patrol Deputy Chief Patrol Agent Roy Villareal said Monday that he’s never seen anything like what’s happening at the U.S.-Mexico border in his 30 years of service. He said an “entire border enforcement system” is needed on the ground, although there is “no singular solution” to the issues there. “[We need] a border infrastructure, roads that provide access to the border, technology, ground sensors, night vision cameras, drones and then of course wall or fencing to secure the border,” he said. Villareal attested to his decades of service that walls or fencing do work in securing borders. Hundreds of migrants and their children seeking to enter the U.S. from Mexico are arriving with illnesses, forcing U.S. Customs and Border Protection to seek additional medical assistance and boost medical screenings, the agency disclosed Monday. The ill migrants have been arriving with all kinds of ailments, many with flu or pneumonia that can be particularly pervasive and dangerous this time of year. Seventeen migrants have been hospitalized, including six children, according to the agency..
“The U.S. Border Patrol is doing everything in its power to handle this crisis,” said Commissioner Kevin K. McAleenan in a statement. But he added, “The status quo is not acceptable” given the wave of immigrants arriving. Secretary of Homeland Security Kirstjen Nielsen said in a statement last week that the Border Patrol has detailed 139,817 migrants on the Southwest border in the past two months. That compares to 74,946 for the same period last year. These include 68,510 family members and 13,981 unaccompanied children. Help triple-amputee vet Airman Brian Kolfage help the Border Patrol by raising funds to build the wall!